Pinot Noir is like the supermodel of wine grapes. Often described as “sensual”, it’s admired by critics and consumers worldwide. It has its own festivals, Titus Burgess dedicated a song to it, Paul Giamatti‘s character in Sideways loved the stuff, and the late Greg Walter based his entire blog‘s existence on this lovely varietal. Pinot stands apart from its bigger, brawnier noble grape relatives. It’s lighter in color, with low to moderate tannin and crisp acidity. Yet Pinot Noir seems endowed in all the right places with its rich core of fruit, brilliant aromatics, and unraveling layers of complexity that keep you begging for another taste. Pinot Noir means “pine cone” in French, thanks to the compact shape of its clusters. There’s no doubt that Pinot Noir is one of the hardest grapes to grow. It thrives in cooler climates, where foggy mornings slowly give way to warm sun before the cold night returns. Its often the first to sprout leaves each year, making it susceptible to frosts. It’s also prone to just about every affliction and disease common to vines. Pinot Noir vines have thinner leaf cover than other vines, making the berries an easy target for birds. The berries often ripen slowly and unevenly. When the thin-skinned fruit finally does ripen, berries tend to shrivel up quickly, making it an attractive target for botrytis. Pinot is also difficult to control during fermentation, as it often ferments too quickly and violently boils over its container. After Miles heaped all sorts of praise on Pinot Noir in the movie “Sideways”, supermarket sales of the variety jumped 18 percent over the next year. Despite these challenges, when conditions are perfect few other grapes do a better job translating terroir. Patient and skilled growers are rewarded with its expressive character that’s simply unlike any other varietal. 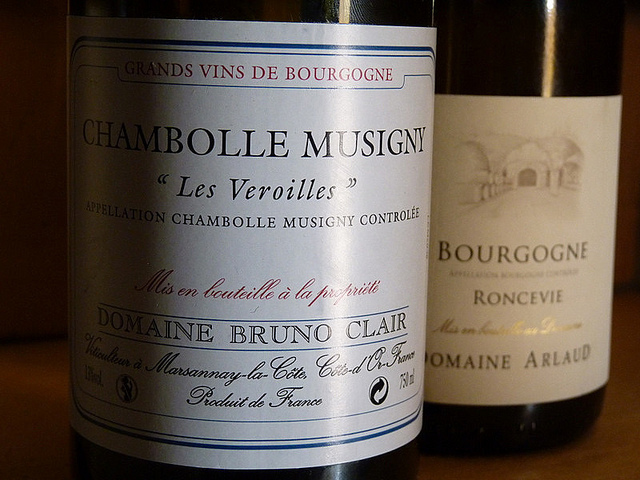 For many serious wine geeks, Burgundy is the first and last name in Pinot Noir. Producers in Burgundy don’t call their wine Pinot Noir, instead dubbing it “Red Burgundy”. Here it’s all about the terroir and rolling limestone-rich hills that infuse the grapes with a sense of place distinctly Burgundian. Simply put, these legendary vineyards give birth to the most expressive examples of Pinot Noir that can easily age for 10-20 years. Burgundy’s legendary Grand Cru vineyards deliver the most complexity, but also command the highest prices. The Premier Cru vineyards bring the best all around quality to value ratio, while the lower tier Bourgogne classification is much less predictable. As a whole you should expect bright red cherry, raspberry, and cranberry flavors backed by dusty forest floor, tobacco and floral notes. 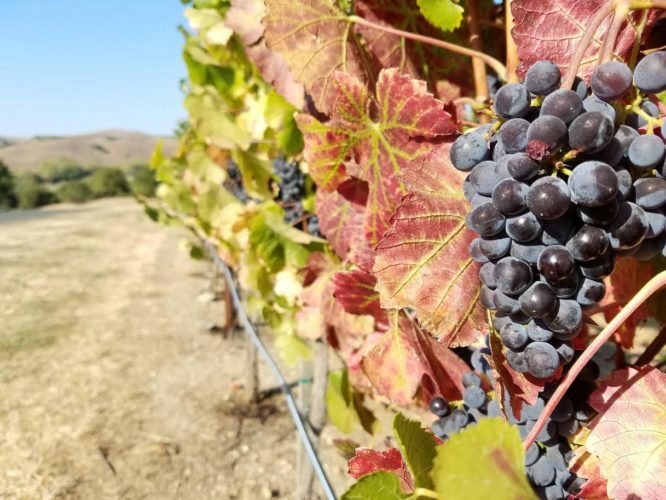 This leaner style Pinot Noir traditionally brought some funky, earthy aromas – think barnyard, manure, wet leaves, and mushrooms – but as consumers preferences changed, producers shifted gears to produce a more modern style emphasizing fruit over funk. Because of unpredictable weather, Burgundy is highly vintage dependent and some years the quality is drastically better than others. Since the exceptional 2005 year, many vintages have fallen short of expectations, but 2015 looks like the best one in recent memory. 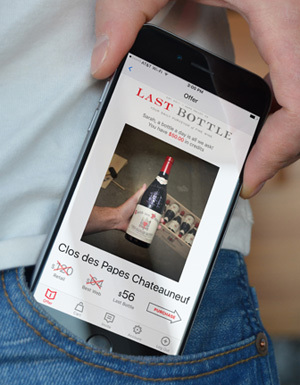 The top Grand Crus can fetch insanely high prices, but if money is no object, look for Grand Crus from Nuits-St-Georges, Gevrey-Chambertin, Morey-St-Denis, Chambolle-Musigny, Vougeot, Flagney-Echezeaux, Vosne-Romanee, and Aloxe-Corton. You can find more affordable Pinot in the Loire valley (where it’s called Sancerre Rouge) or from the Jura region. Another option to consider is Beaujolais, where the Gamay grape serves up a similarly styled, light-bodied red wine. If you go this route, look for a Cru Beaujolais which stands apart from the more generic Beaujolais Nouveau. Burgundy might have given birth to Pinot Noir, but California shaped it into a modern day classic. Compared to Burgundy it’s often sweeter and more lush, with higher alcohol levels and less acidity. Expect a ripe core of cherry, raspberry with bright strawberry, vanilla, baking spice, cola and sweet earth notes rounding the backend. 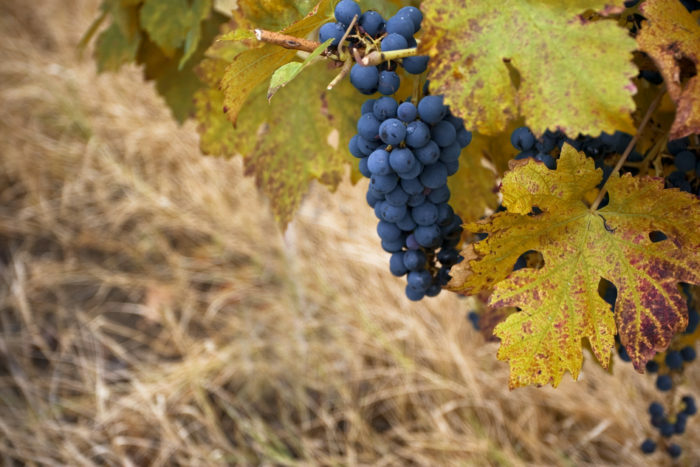 Pinot Noir has firm roots in Sonoma, including popular spots like Carneros, Alexander Valley and Russian River Valley. The latter two AVAs seem to produce bigger, richer styles, but with so much variation between neighboring vineyards it’s impossible to pin down a certain style to any one region. The St. Rita Hills and Santa Lucia Highlands in the Central Coast have been pumping out some excellent examples too. In Oregon you’ll find a slightly cooler climate guides a more austere version of Pinot Noir that seems to bridge the gap between California’s modern expression and the more rustic side of Burgundy. Oregon Pinot Noir is known for having softer fruit flavors; bing cherry, cranberry and red raspberry with truffle and earthy mineral expression out back. It also tends to have slightly higher acidity thanks to the cooler climate. The majority of plantings are found in the Willamette Valley, which shares the same latitude as Burgundy and makes an ideal home for Pinot Noir thanks to its cool climate and sediment rich soils. Oregon Pinot Noir tends to age well, often showing its best side 3-5 years upon release. A lot has changed in the winemaking landscape of New Zealand, and much of that has to do with the explosive growth of Pinot Noir. Today it is second only to Sauvignon Blanc in the country’s production. Once known for thin, watery and acidic Pinot, modern winemaking and a better understanding of the particular needs in terms of climate and soil types has helped New Zealand winemakers rise to the challenge of producing world class Pinot Noir. Most plantings are found in the Marlborough region, where clay-rich soils of the Wairau valley produce some of the best value Pinots around. However the country’s best examples come from the central Otago valley, where a stunning landscape serves as a nice breeding ground for ripe, floral Pinot with mass-appeal. Germany is the third largest grower of Pinot Noir in the world, but chances are you’ve never thought to seek out a Spätburgunder (that’s German for Pinot Noir). You just don’t see them on store shelves or wine lists, but if you do encounter one we highly recommend trying it. German Pinot Noir can be exceptional, good enough to fool even the most seasoned wine lover into believing they’re enjoying something sprung from the legendary hills of Burgundy. Expect the better examples to show off that laser focused red fruit – raspberry and cherry, with secondary notes of earth and all the sexiness and complexity you’ve come to expect from a fine bottling of Pinot. If you do come across some Spätburgunder, chances are it’s from the Ahr region, which accounts for half of the country’s production, but other popular regions include Rheinhessen, Baden and Pfalz. If you’re interested in German Pinot Noir, you might also want to try some from their Austrian neighbors. There it goes by the name “Blauburgunder”. Chile has some of the most undervalued wines, and that’s especially good news for Pinotphiles. The country boasts a huge coastline and has the ideal climate. Winemakers here have been polishing their techniques and seem to be producing more and more finely tuned bargains. Keep an eye out for bottles from the Maipo, Central, and Aconcagua Valleys. 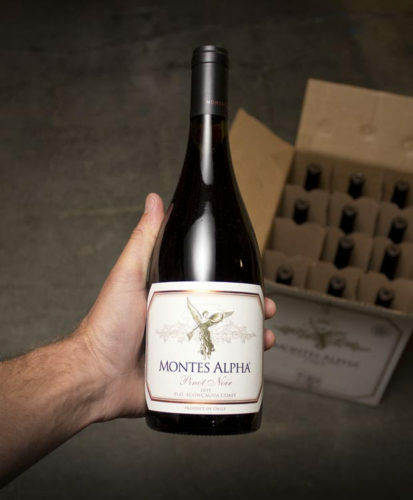 Montes Alpha offers this beautiful rendition, boasting a big fruit profile and tons of spice, yet remaining elegant and balanced. Pinot Noir makes for one of the most versatile food friendly wines out there. It pairs up nicely with a huge range of options, from grilled meats to fish and pasta dishes. Think lamb kabobs, duck confit, prime rib, roasted chicken, grilled salmon. Anything with mushrooms does very well. 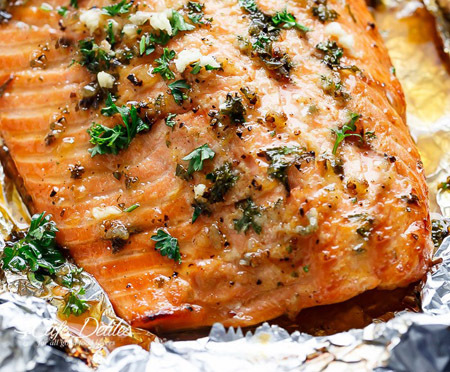 Enjoy this simple baked honey garlic butter salmon with a fruity new world Pinot. The fatty salmon with its subtly sweet flavors plays nicely with the acidity and fruit in Pinot Noir. 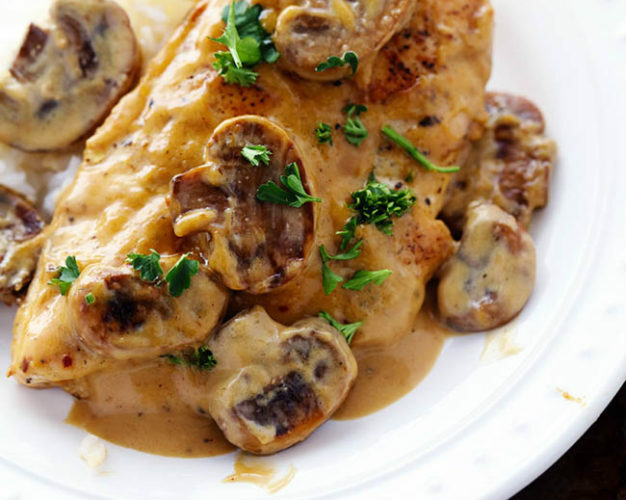 The acidity cuts through the creamy richness in this chicken marsala recipe, while the mushrooms perfectly compliment the earthy side of Pinot Noir. 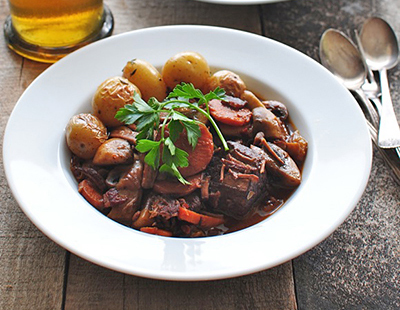 Assuming you have the time and patience, you simply can’t go wrong with this classic French dish that Julia Child dialed in. Check out this recipe for the mouthwatering details.